This entry was posted on February 17, 2013 by Braden. 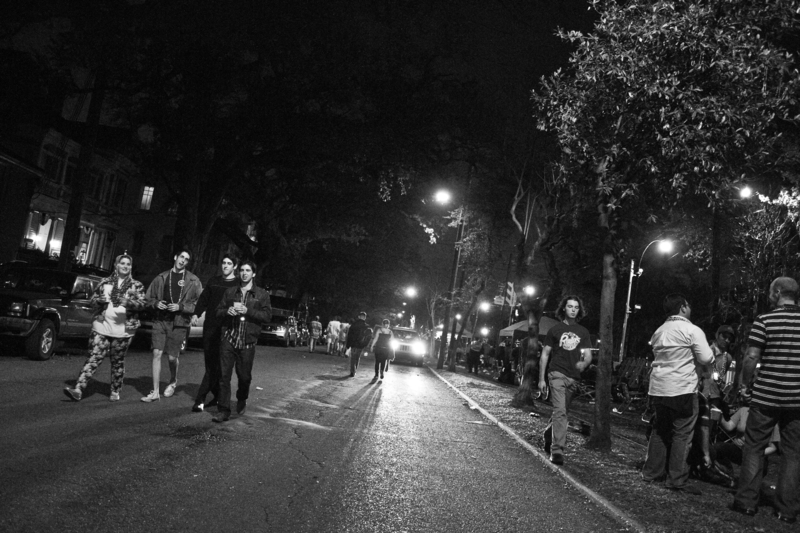 It was filed under Night Shots, People and was tagged with black & white, Canon EF-S 18-55mm f/3.5-5.6 IS, Canon EOS 7D, Louisiana, New Orleans, photography, street photography. Great night scene and tilt! Thanks, Jarch! Interesting fact about this photo: I know two of the guys on the left side of the frame walking down the street, but I did not realize I had taken a picture of them until I opened this to edit it.